… and can be tucked away when you don’t need them. 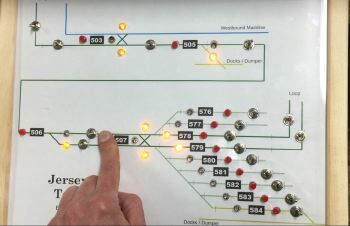 A quick video of the buttons and lights in action. 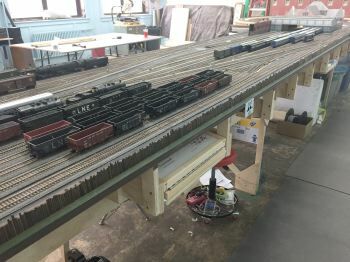 We have the stationary decoders routing all the switches so you only need to push one button to line up the tracks (just like the old diode matrix). 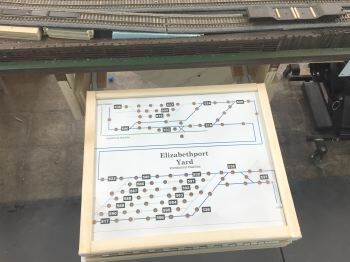 Work has just begun on the Elizabethport Yard panel. This panel has the most buttons and wires. It’s about double what’s on the Jersey City Terminal panel.